PeopleKeys has long been a 3-graph provider of DISC, with 95% or more of our users agreeing on the close match of their DISC behavioral style. I have always believed that at least 5% of the population who take a DISC assessment do not answer entirely true responses, and thus only 95% claim the reports accurately reflect their style. Let me first explain what 3 graph and 2 graph DISC is. 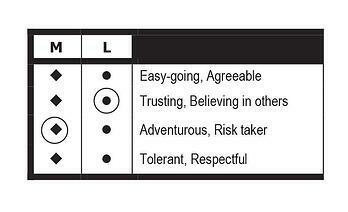 Most DISC assessments give you 24-28 statements, and you then select a “MOST like you” and a “LEAST like you” from 4 choices (see sample below). The first graph is generated from your “MOST like you” responses and is generally referred to as your public self, mask, adapted self, etc. It is the response to how you like to appear in any given environment. This is also the graph that changes the most, depending upon your environment. That is a topic for another article altogether. The second graph is then generated by your “LEAST like you” responses. These are typically more difficult to answer, as we all know what we want to be MOST like, however the LEAST like triggers some thought and sometimes a little intentional stress. These responses go into Graph 2, which is referred to as your core, private or sometimes even your natural self. That is where many other DISC providers leave off, and then make statements to mislead about the true accuracy of, Graph 3. Graph 3, which PeopleKeys does generate in our DISC reports, is an average of the first and second graphs, and is entitled the Self Mirror Graph. 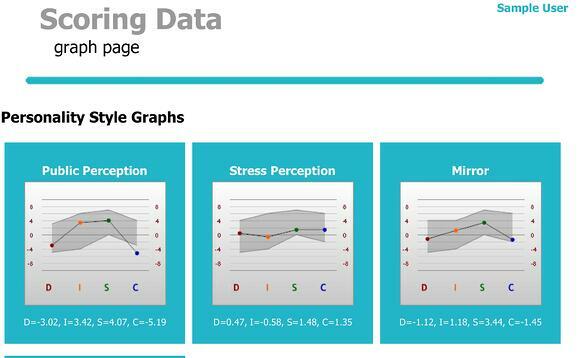 Most people (95%) see themselves as most like this third graph, since it’s hard to always see your own projected (mask) style or your behavior under stressors (the LEAST or second Graph). Let me share some of the myths that are currently out in the marketplace surrounding this. Certain companies have done a very good job marketing these misconceptions, but are simply not providing the entire truth to the matter. 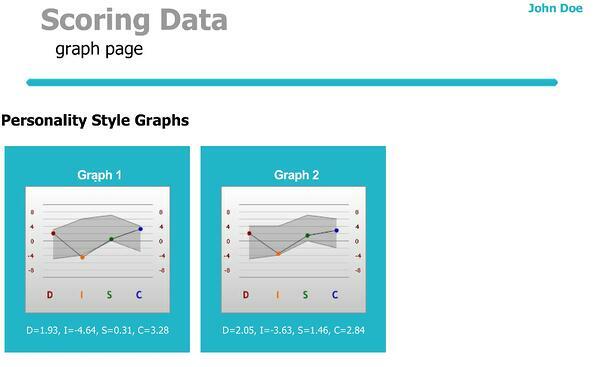 Take a 3-graph assessment and then a 2-graph (YES, we will provide either style). Ask people who are close to you which graph is your Mask or Adapted Style. Chances are, they will agree with you on Graph 1. Ask what your most natural style is, and both you and your friend will probably agree on Graph 3 or even back to Graph 1 again. Ask them how you act under stress and they will point to Graph 2. Graph 2 is not your natural style, it is your behavior under some type of stress. One of our clients, Major Jeff Kozyra with the United States Air Force Academy, once told us that being able to spot someone operating in their second graph was a “tell” of someone being under certain stressors. It was not their officers’ or pilots’ natural style, it was their stress style. At PeopleKeys, we offer both 2 and 3 graph report options. Our interest is in our clients receiving the best and most accurate data for their money. While both reports are the same price, clients receive the best value with a 3-graph report. Take our DISC assessment and see the results for yourself.